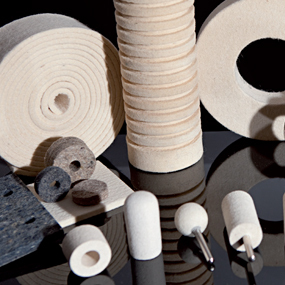 Needle felt can be produced from standard synthetic fibres like Polyester or Polypropylene, but also from special heat-resistant fibres like Nomex, Aramid, or Kevlar. Synthetic fibres are mechanically entangled by barbed needles and in such a way a felt fleece is created. 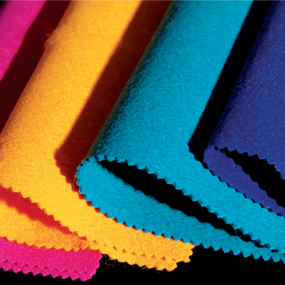 Due to the high colorfulness and elegant design is a colorful decorative felt the best material for the design and decoration purposes. 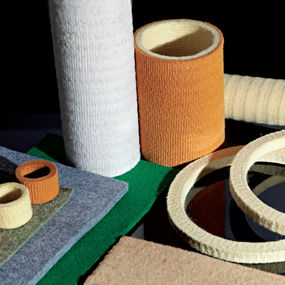 We offer decorative color felt made of wool, polyester and viscose in thicknesses from 1 mm.